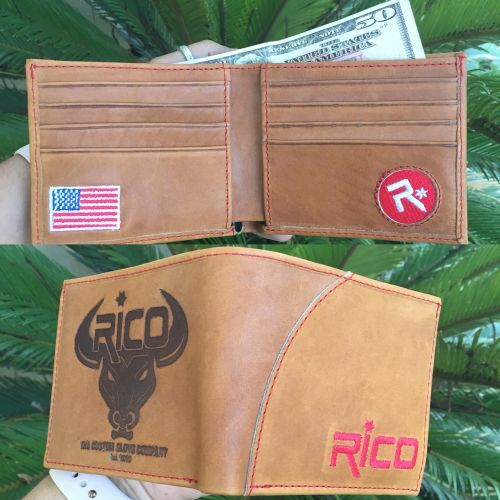 * 100% authentic Rico Horween Saddle Glove Leather. * Horween Leather is the highest end leather. Normally this wallet would be well over $100 dollars. * USA Flag embroidered inside wallet.